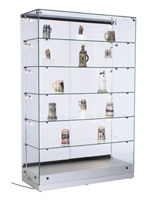 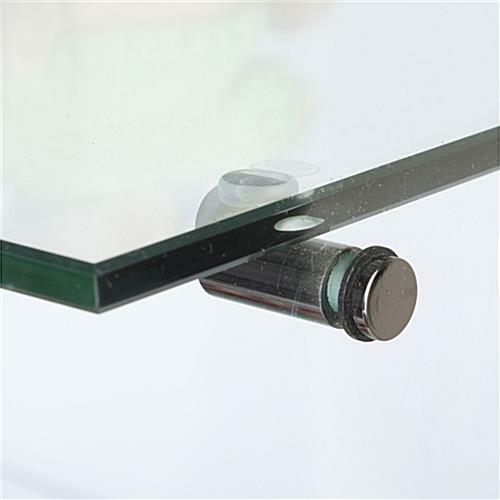 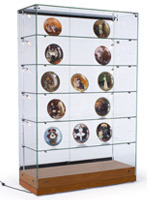 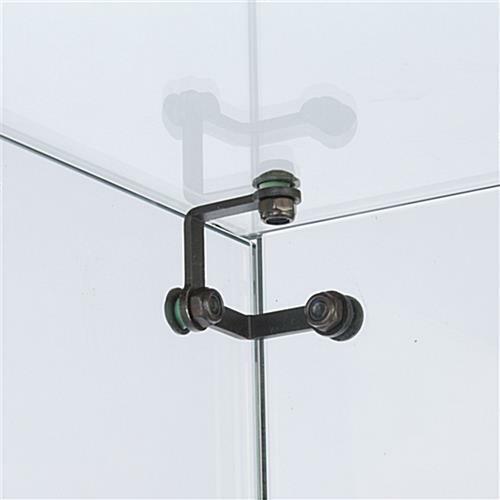 These tempered glass display cabinets feature (5) clear shelves that can easily be adjusted or removed. 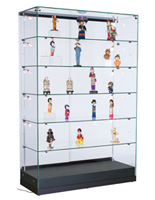 The trophy cases are ideal for displaying merchandise, memorabilia and other curios. 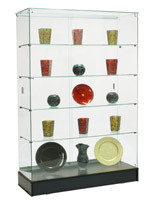 The display cabinets feature sliding doors to minimize floor space when being opened and closed. 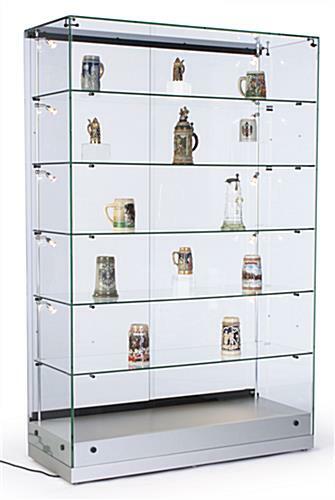 The showcases with movable shelves are great for stores, homes, schools and museums because they allow for full 360° vision. 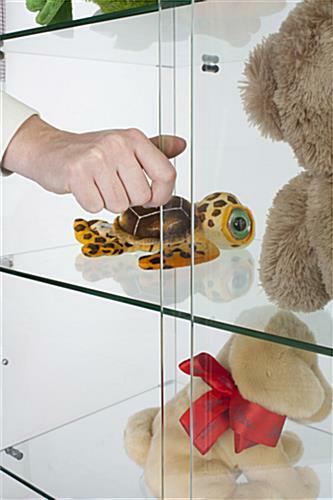 The cabinets' sliding doors can lock to protect their contents from theft and tampering. 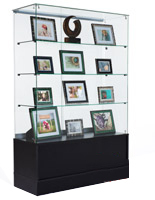 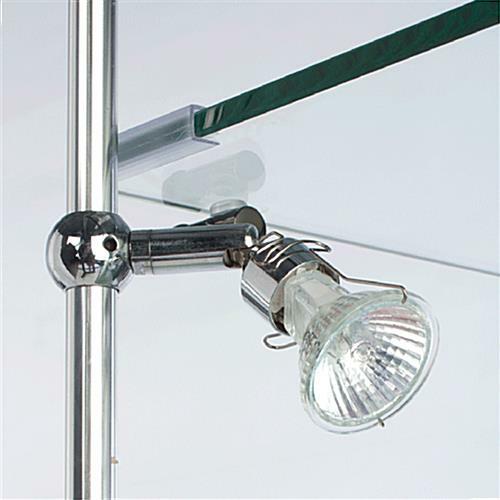 The trophy cases for stores also include (10) adjustable halogen lights located in the front corners.